Follow the steps below to complete your Life Skills Reports. Press ‘Show Marks at the bottom of the screen. 2. 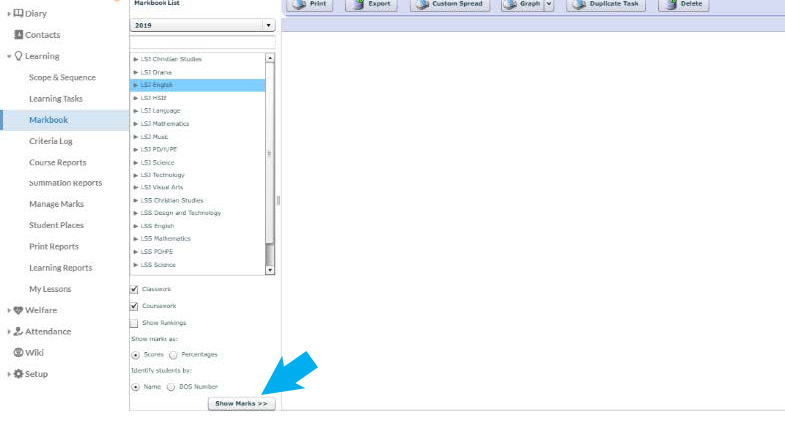 Then choose the cog at the top of the report you are writing. This is where you add the outcomes you have been working on. 4. 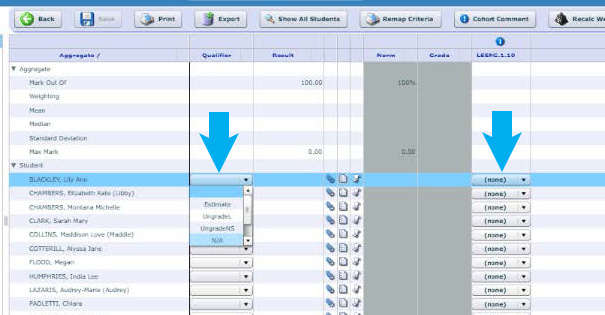 Go to Add Criteria at the bottom of the page. 5. Your syllabus outcomes / content should come up. 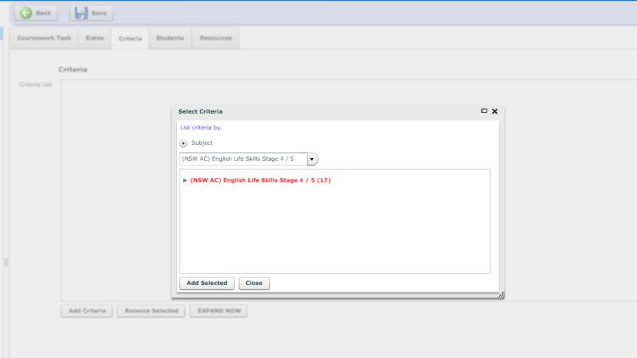 If you have a new syllabus, please contact IT who can load the new outcomes / content for you. 6. Choose the outcomes you have focused on for this term. You can add more than one by holding down CONTROL as you choose the outcomes. You may need to choose a range of outcomes for different students. Choose all the outcomes you need. You can hide the outcomes that don’t relate to some students later in the process. Don’t forget to press SAVE. 7. 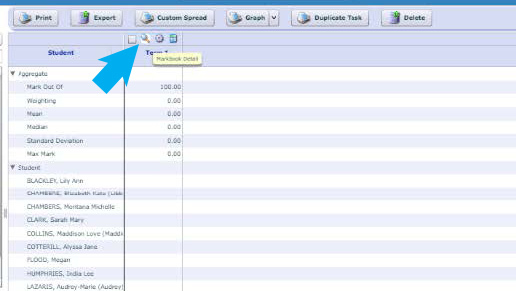 Return back to Markbook and this time choose the magnifying class. 8. You will now see the outcomes on the right-hand side. 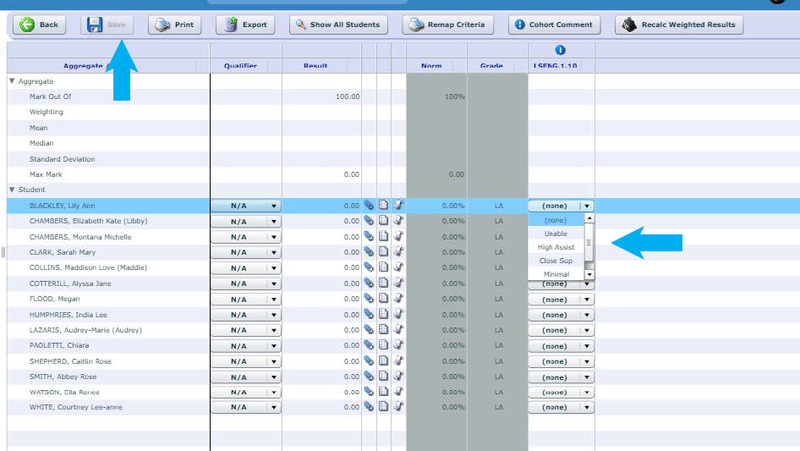 First choose the qualifier – you must change each student to N/A as this stops the girls from being ranked. 9. Press SAVE once everyone has N/A as the qualifier. None: This means the student didn’t attempt this outcome. 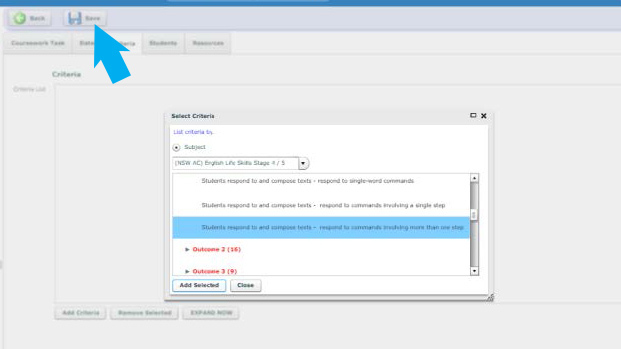 You can report on different students doing different outcomes. This outcome will not be visible to the girls or parents. Unable: Please don’t use this option as we should only be presenting content to the girls that they can access. 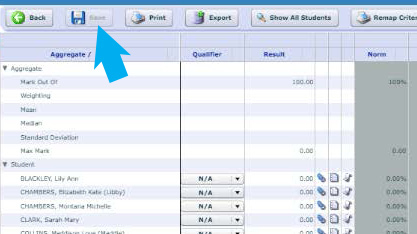 Please choose ‘None’ if the student is unable to complete the outcome and then this outcome won’t be visible on the student’s report. 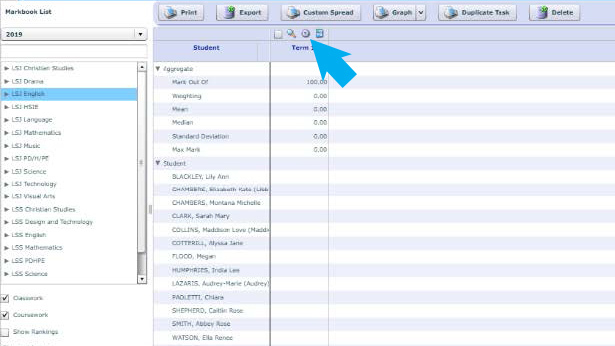 High assistance: The student needs 1:1 to complete the task / outcome at all times. Close supervision: The student needs a support person to be supervising to complete the task / outcome. 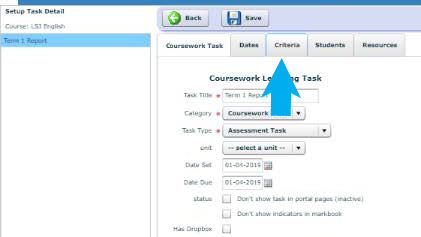 Minimal assistance: The student needs someone to check in as they complete the task / outcome. Independent: The student can complete the task / outcome independently. 11. Write a comment in the Teacher Comment section. Don’t forget to save after each comment. Life Skills staff will release the reports for feedback and so parents can access via the Parent Portal on the due date.